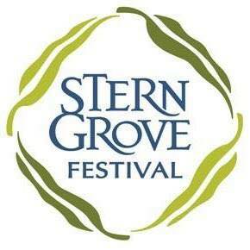 Free Concert at Stern Grove Festival featuring San Francisco Symphony | Jayce Ogren, Conductor! The San Francisco Symphony (SFS), widely considered to be among the most artistically adventurous and innovative arts institutions in the U.S., celebrates its 23rd season with Music Director Michael Tilson Thomas in the 2017-2018 season. The SFS presents more than 220 concerts annually, and reaches an audience of nearly 600,000 in its home of Davies Symphony Hall, through its multifaceted education and community programs, and on national and international tours. With his extensive concerto repertoire, Polish-American pianist Adam Golka has appeared as a soloist with orchestras around the globe. A pre-performance Artist Talk with San Francisco Symphony will take place at Stern Grove’s Trocadero Clubhouse at 12:00 noon. The performance is dedicated to the memory of Elise S. Haas, Stern Grove Festival Association Chair from 1956 to 1968.